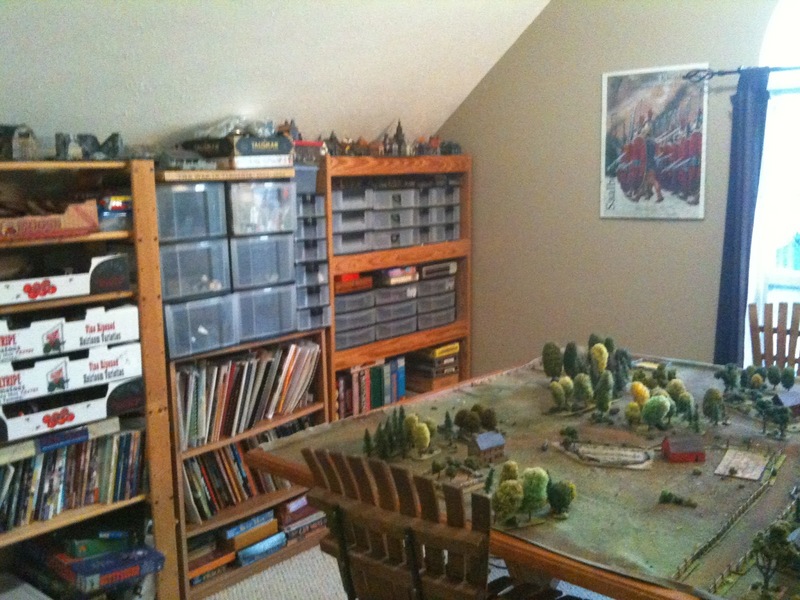 I always enjoy looking at pictures of other people's gaming rooms. What I find interesting is that they all look pretty much the same: Osprey's everywhere, tons of rules, boxes of figures, etc. It's hell having a hobby! 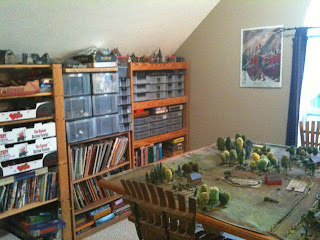 Well anyway, here are a few shots of my gaming room. I think I was setting up some 15mm ACW terrain the day I took these pictures. The calm before the troops arrive! Nice looking games room! I'll be remodelling mine in September. 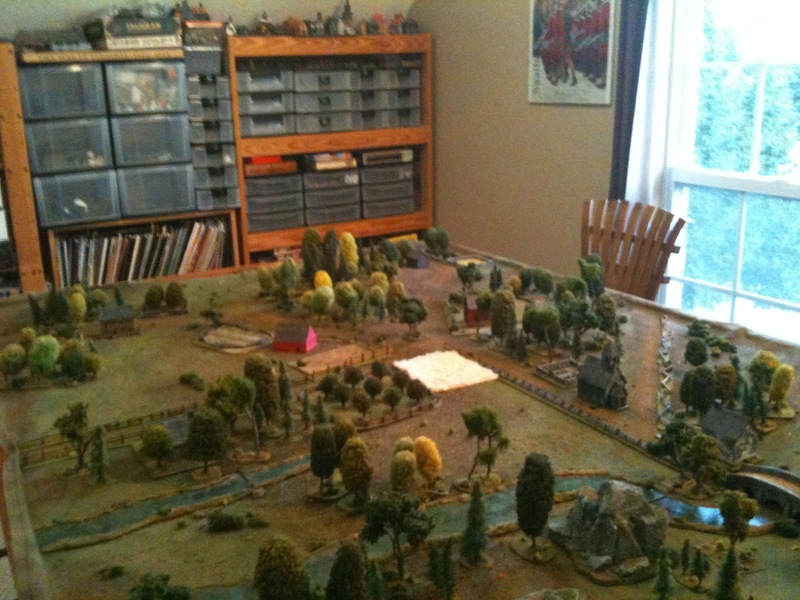 I like seeing how what others have for painting/gaming areas. You have a very nice room. 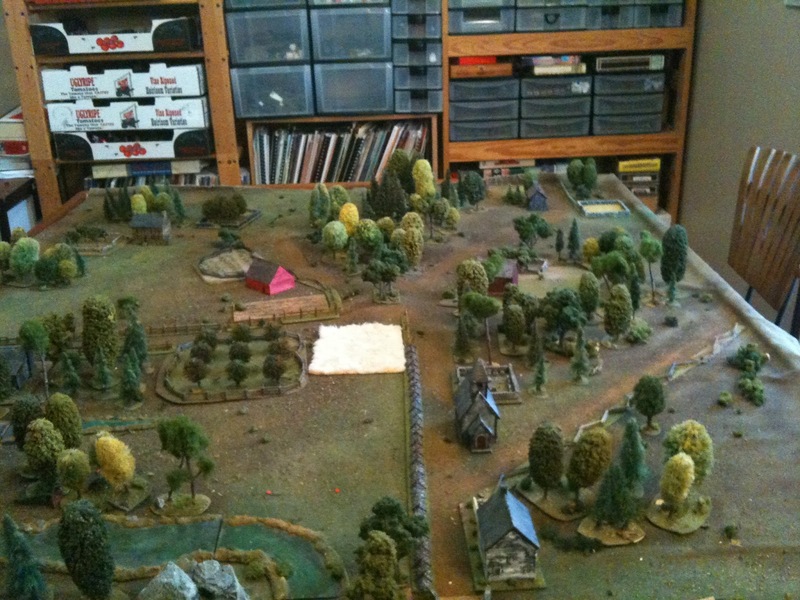 Lots of light, neat and tidy storage and a great gaming table. I still need to get a space carved out from our home but its good to get ideas from others!